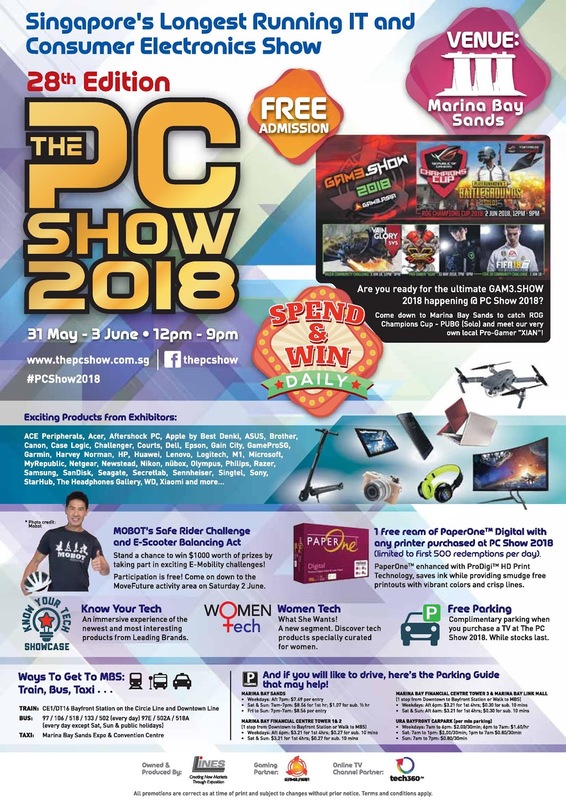 If you are like me, always on the look out for what's new in the technology market or maybe in need to upgrade your tech wares, head on over to Marina Bay Sands from 31 May to 3 June; as The PC Show is back for its 28th round! This 28th edition promises a high brand recall among consumers, latest cutting edge technology from leading brand names and exclusive deals from our participating exhibitors. It’s a guarantee that there will be something for everyone - be it from the latest mobile devices to laptops, from printers to desktop computers, PC games, cameras, and TVs, this is an event not to be missed for deal hunters and tech enthusiasts alike. The list of local and global participating brands are endless, so be sure to head on over to check them out - Acer, Aftershock PC, Apple, ASUS, Brother, Dell, Epson, HP, Lenovo, M1, Microsoft, Philips, Samsung, SanDisk, Seagate, Secretlab, Singtel, WD, Xiaomi, Sony, StarHub, Google, Canon, Olympus, Nikon, Huawei, GoPro, Omnidesk, Prism+, Razer, etc. For the first time exhibitor and a local tech startup, teachnlearn, hopes to redefine the tuition industry with an online marketplace just like what Airbnb and Grab did for their respective industry. With the advancements made in technology and students growing more digitally inclined, technlearn is bringing remedial education in the form of convenience, efficiency and transparency to not just tutor and student; but parents too. To promote technlearn services to the public, it is offering 1-For-1 for courses signed up during The PC Show! Another local tech startup - Dreamcore - envisions to be Singapore’s leading custom PC company by bridging personalization with size and performance to computing through its offering. This made-in-Singapore brand will be featuring two unique PCs at The PC Show 2018 with the ultra-compact and still Singapore's smallest PC - Dreamcore Bullet and the e-sports centric but NVIDIA-less Dreamcore Ghost, running on AMD Ryzen 3 2200G that comes with built-in Radeon Vega 8 graphics capable to play esports such as Overwatch, CS: GO, Battlegrounds, and Dota 2. Priced at just SGD875 at The PC Show, Dreamcore Ghost is definitely my pick for the best value performance e-sports PC! Cryptocurrency aka “digital money” has gained its popularity among common folks, thanks to the surge in both value and payment acceptance of Bitcoins over the years. While Cryptocurrency is a hugely speculative investment vehicle not for the faint-hearted, Cryptomouse, also a local tech startup, is offering a less risky investment alternative into cryptocurrency through "Crypto Mining". Crypto mining is about providing a record-keeping service aimed at keeping the cryptocurrency blockchain in shape, complete and safe, as well as unalterable through specialised PCs known as "mining rigs" running round the clock; in exchange for a small friction of the cryptocurrency that rig owner supports. 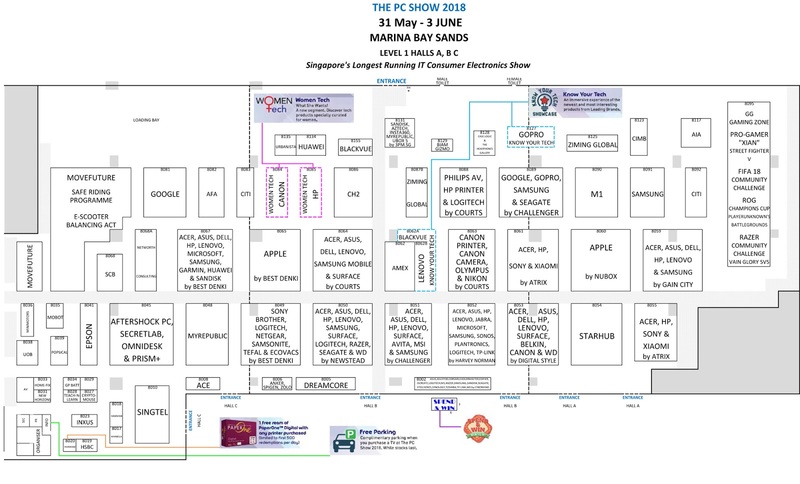 Huneybees can learn more about crypto mining, the price of the mining rigs, such as RX580 at SGD6288, and the different hosting services by Cryptomouse at The PC Show! 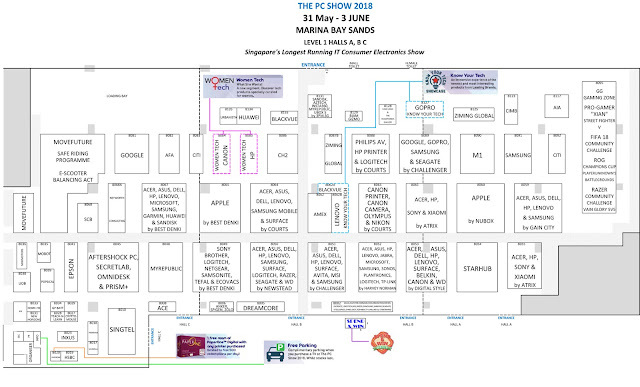 There are a few characterized segments catered specially for different customer groups at this year's The PC Show that I found pretty refreshing. One such designed zone is Women Tech where exhibitors (from Canon and Hp) market innovative IT, electronics gadgets targeting at women. For action camera users, you may head to the Know Your Tech zone where exhibitor GoPro will be holding a Masterclass for their latest model at 3pm on 2nd and 3rd June 2018. 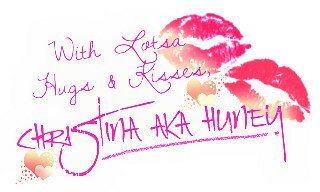 No pre-registration is required! There's even a MoveFuture zone where mobility meets technology. This zone features everything from e-scooters and e-skateboards, and exhibitor Mobot will be holding two (2) unique all day activities at their booth - Safe Riding Programme and E-Scooter Balacing Art - both of which visitors can stand to win prizes in a lucky draw worth up to SGD5,000. For gamers at this year’s PC Show, there will be a slew of competitions for all to enjoy at the GG Gaming zone, which hosts the GAM3.SHOW 2018. Huneybees can catch the ROG Champions Cup, Razer and FIFA 18 Community Challenges and rub shoulders with Singapore’s very own local Pro-Gamer "Xian"! There will be four (4) different gaming competitions for anyone to participate in on-site. Interested parties will need to register online (www.gam3show.com) to participate in the competitions on-site.